I went a bit crazy about the Mi 8 Pro during the launch. Was it the free wine they were giving out? Was it the fact that it was 3 o’clock in the afternoon and I was drinking on an empty stomach? 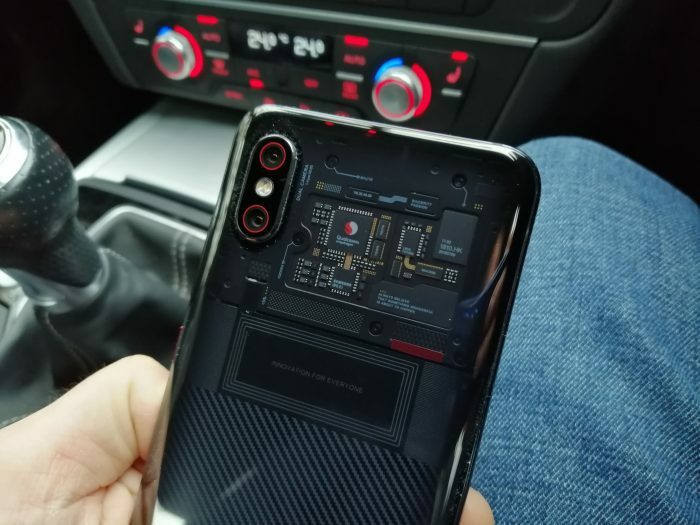 Well, perhaps some of that, but I loved the fact that you could see bits of the phone through the back panel. That’s just cool, and no matter how many times people tell me that it’s all fakery and “just a mock-up” on the back, I still like it. I like the little touches and the attention to detail. I like how fast the thing goes. I like how good the camera is and how well photos match the real-life image. But hey, I’m getting ahead of myself. Let me give you the intro to this week-long review. A week-long review that I’m starting on a Wednesday. Yes. Crazy. Price then. 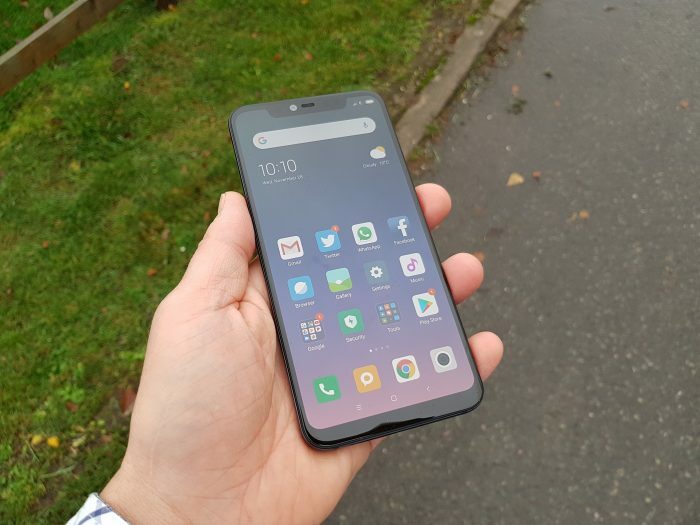 It’s £499 network-free from Xiaomi UK. That’s a great price considering that this is a flagship. This is top end. Proper top end. 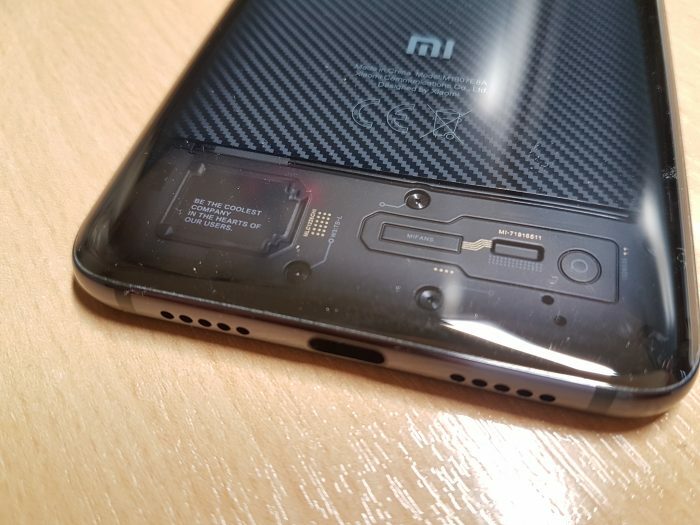 (Just don’t mention the lack of wireless charging) from Xiaomi. Read all about who Xiaomi are here. They’re the world’s fourth largest smartphone manufacturer and are just behind Apple in terms of market share. They’re the big smartphone company that nobody has ever heard of, and that’s where the battle begins. People are always a little unsure about companies if they’ve never heard of them. Back to this particular handset then, and you can tell straight from the get-go that this is a fantastic phone. Built with an aluminium frame, it comes equipped with a 6.21″ 1080×2248 pixel Super AMOLED capacitive touchscreen and feels great in the hand. 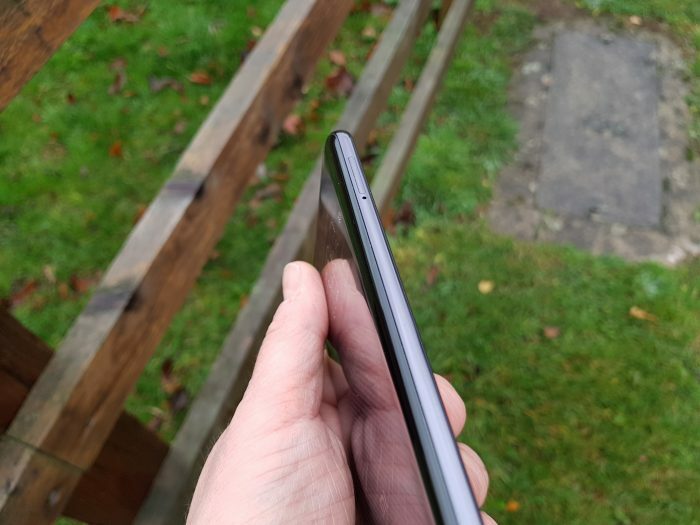 At 177g it hits that perfect mid-point and the smooth curves make it feel like a pebble in your hands. The edges curve towards the back panel, which as you’ll no doubt see from my endless pictures, shows off some chips, an NFC panel and several nice little touches from the makers themselves. Sadly there’s no wireless charging here though. If there’s one thing I took away from the launch in London, it was the fact that the Xiaomi really have a passion and love for their customers and the kit they make. 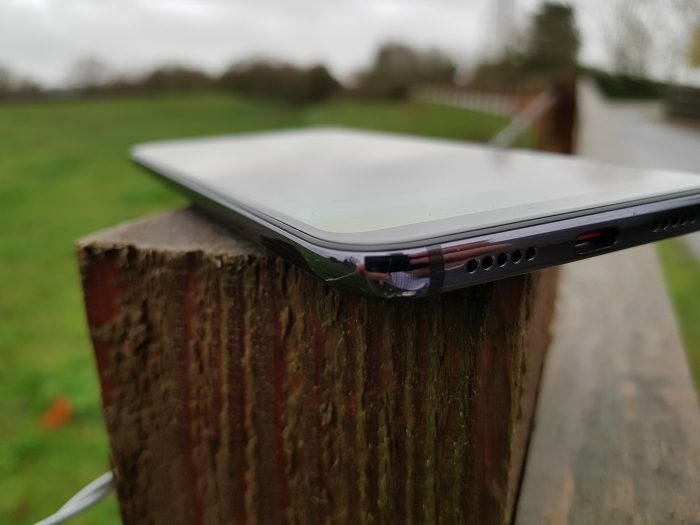 This phone really looks the business and has tiny phrases like “Be the coolest company in the hearts of our users” printed on the back section. No fingerprint sensor here because it’s all on the screen – more about that in a moment. You’ll also see, complete with red trim, the two lenses – both 12 megapixel – one wide-angle and one telephoto. They’re “Ultra light-sensitive” and by God, they work well – I’ll talk about them more tomorrow. There’s lots of AI cleverness going on there and, up front, a 20 megapixel unit for your selfies. There’s fat pixels in the cameras which are 25% larger than other phones. They let in more light and there’s dual pixel autofocus for speedy focus changes. The phone is powered by a blisteringly-quick Snapdragon 845 CPU running at 2.8GHz. It has a Qualcomm Adreno 630 GPU, up to 710MHz. It has 8GB RAM. It has 128GB storage. It basically has a V8 engine under the hood with superchargers. Faaaast, with a capital “F”. On the side, you get a slide-out tray which – on the model I have here – has two SIM cards. 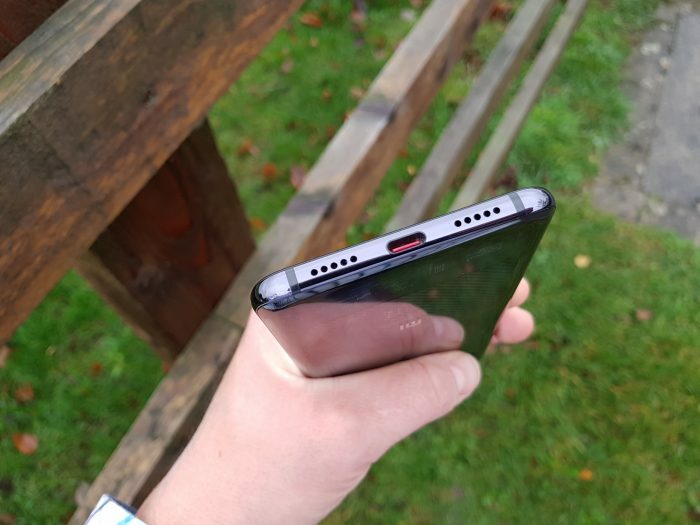 Up top, a microphone hole for noise cancellation and, on the other edges, a cool red power button and volume controls plus – at the bottom – a USB-C charging port and speakers. At the , Corning Gorilla Glass 5, Android 8.1 (Oreo) and is powered by a Qualcomm Snapdragon 845 chip. That CPU is an octa-core (4×2.8 GHz & 4×1.8) and you get an Adreno 630 GPU. It’s got 128GB of storage and 8GB of memory. The 6.21″ AMOLED display is a 2248 x 1080 FHD+ unit with 402 ppi and looks really nice indeed. It represents the colours perfectly but you can adjust the warmth, tweak the colours, the contrast, text size, brightness and also turn “Reading mode” on so that it doesn’t melt your eyes. 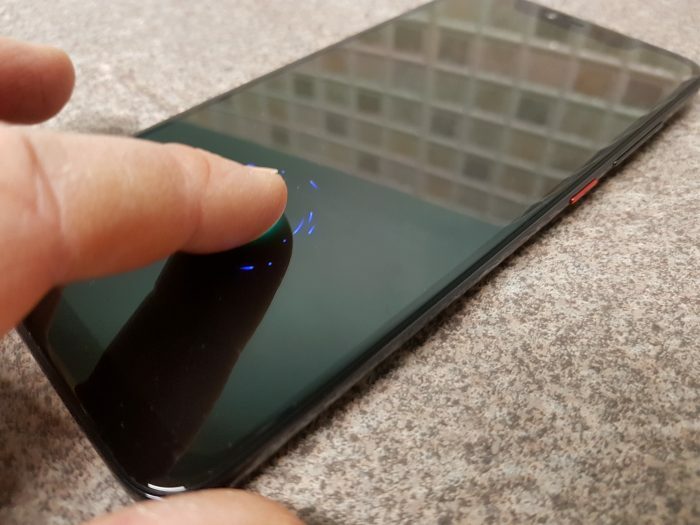 On the screen is an on-screen fingerprint sensor. I’ve used it daily and it’s fairly decent. 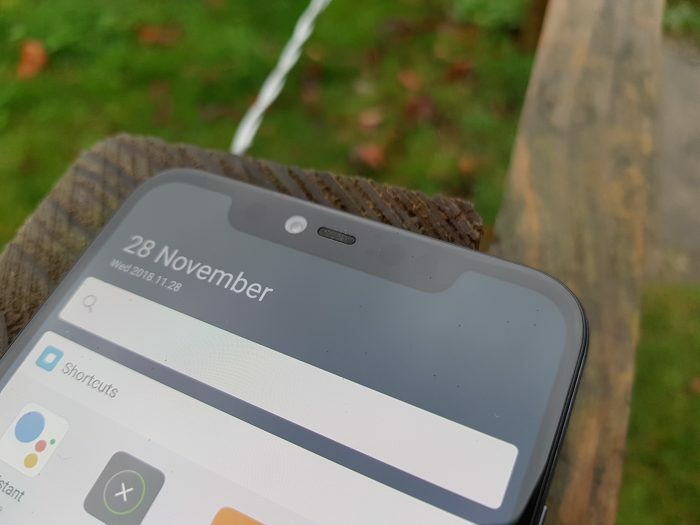 It doesn’t like wet fingers or a smudged screen, but to be fair this is a problem that every on-screen reader is going to have – you’re going to be dragging your finger over the screen during your day-to-day usage, and that’s going to blur the part of the screen doing the sensing. That said, you can always swipe up and enter your PIN to get in that way. Other specs include dual-band WiFi, DLNA, Bluetooth 5.0 and a trick dual-band GPS system that stops that madness when the signal is bouncing off buildings. There’s NFC and there’s an IR face detection system that’ll unlock the screen, even in the dark, by recognising your face. Other specs include Quick Charge 4.0+ and a 3000 mAh battery. 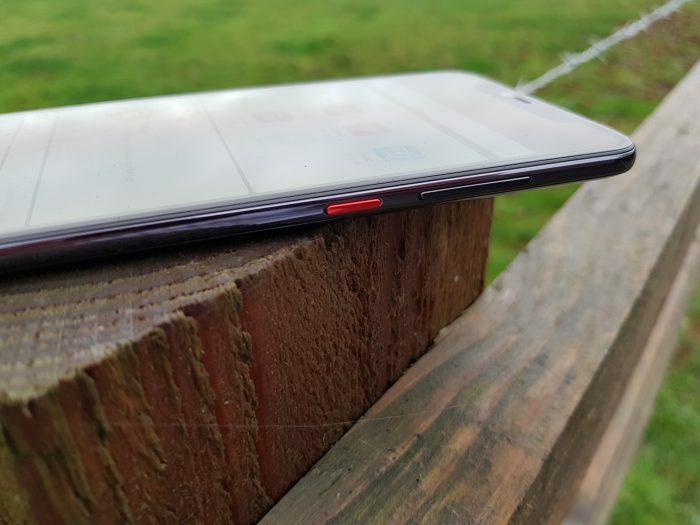 The post A week with the Xiaomi Mi 8 Pro – Day 1. A tour is original content from Coolsmartphone. If you see it on another news website, please let us know.